As striking as they are intelligent, hundreds of crystalline LED lights accentuate the exterior design. Available High-Intensity Discharge (HID) headlamps feature Adaptive Forward Lighting. This technology automatically turns the headlamps according to your steering wheel position and provides you with optimal road illumination. 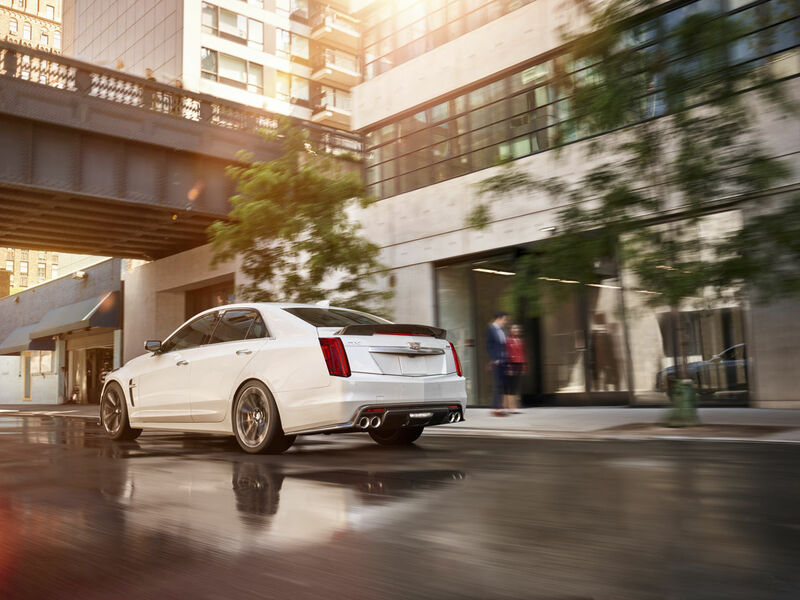 Travel alongside the profile of the CTS -Vand impressive style is met with excellent visibility, while available Illuminating Door Handles deliver both. The final touch of the exterior boasts an integrated rear spoiler, featuring a 48-LED center brake lamp to help manage airflow and leave a lasting impression.